A standalone night vision scope comes with some notable limitations especially when used as a riflescope. For instance, most night vision scopes simply can’t be used during daylight. This is because if their lens is directly exposed to daylight, they may be permanently damaged. For this reason, it is not possible to sight in most night vision scopes during the day, which is another major limitation. If you have a night vision scope, you will have to sight it in during the night. However, sighting it in during low light circumstances can be a fairly daunting task. Due to these drawbacks and the fact that a frequent hunter or shooter will have to continuously switch between a daylight scope and night vision scope, many users choose to add night vision to a conventional scope eyepiece. Following are some tips and guidelines on how best to add a front-mount or rear-mount night vision optics to a scope. 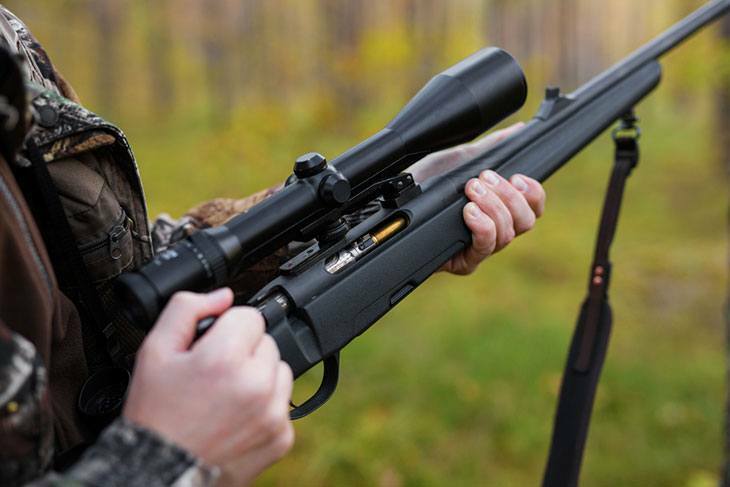 The eye relief is the distance between the rear of an eyepiece or a scope lens and your shooting eye. Ideally, it is the distance at which a shooter can comfortably view the entire image through the scope or the eyepiece. When choosing between rear-mount or front-mount night vision optics, you have to consider the eye relief. In case of rear-mounted night vision gear to a scope, you will see that the eye relief is dramatically reduced. This means that you will no longer be able to shoot as naturally as you did without the mount. Front-mount optics, on the other hand, does not affect eye relief. Another key factor to consider when choosing between front-mount or rear-mount night vision optics is the recoil of the firearm. 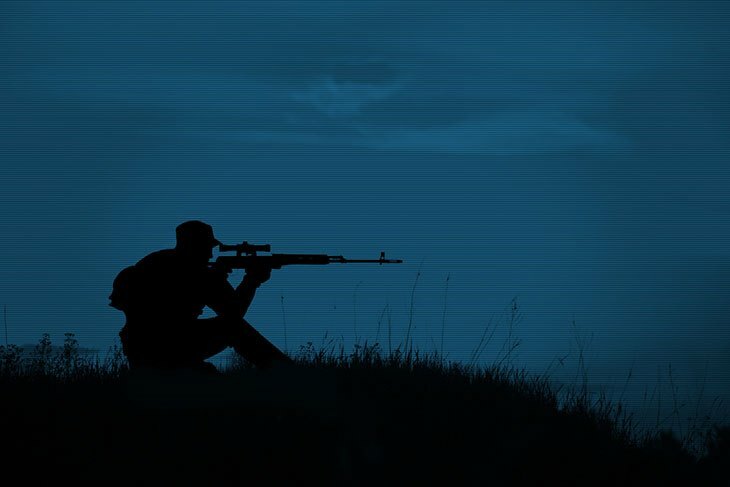 Since night vision is most frequently used with hunting rifles, recoil is a major factor given that rifles have some serious recoil. It is for this reason that the reduction in eye relief by a rear-mounted night vision optic is dreaded by most shooters. This simply means that they are more likely to get hurt through the rifle recoil during shooting. Again, the front-mount night vision optic does not offer this disadvantage and is preferable in this regard. Zeroing a scope means adjusting it so that the shots from a firearm hit the target aimed by the scope. 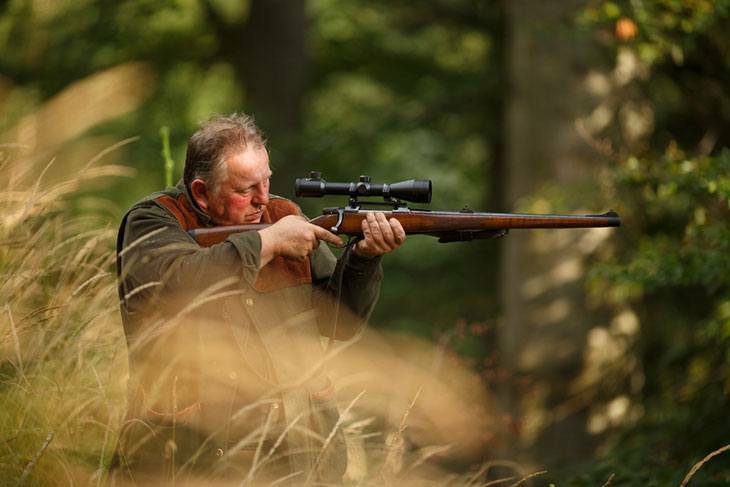 Hunters and shooters need to zero their scope before they can hit the target. A key problem with night vision add-ons is that they may affect the zero of a scope. This is particularly true for standalone night vision scopes. 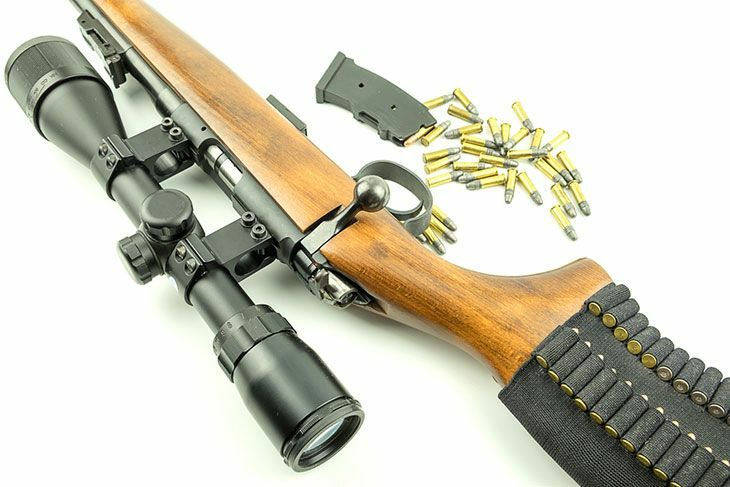 But even a rear-mounted night vision optic can affect the zero of a firearm, which means that after mounting it on, you will need to zero the scope once again. In comparison, a front-mounted night vision optic does not offer any such drawbacks and has virtually no affect on the zero of the scope. Despite the fact that the front-mount night vision optics do not affect the zero, the eye relief or the potential for harm from recoil, they come with a serious disadvantage. Front-mount optics can affect the overall weight distribution of the gun, making it lean towards the front end. This means that if you choose a front-mount optic, you will have to get used to the modified balance of the gun. A rear-mount optic, in comparison, does not come with this problem. If you are thinking about the right night vision to add to your scope, price tag will be a notable contender. Mountable optics which work with daylight scopes, for instance, cost significantly less compared to standalone night vision scopes. Even among front-mount and rear-mount optics, you will see that front-mount optics offer more advantages and are therefore more expensive. Rear-mount optics are the least expensive of the three but they carry numerous drawbacks. There are also some piggyback night vision optics available on the market although they may not offer the same degree of performance.